Sweet or salty? Why not both! 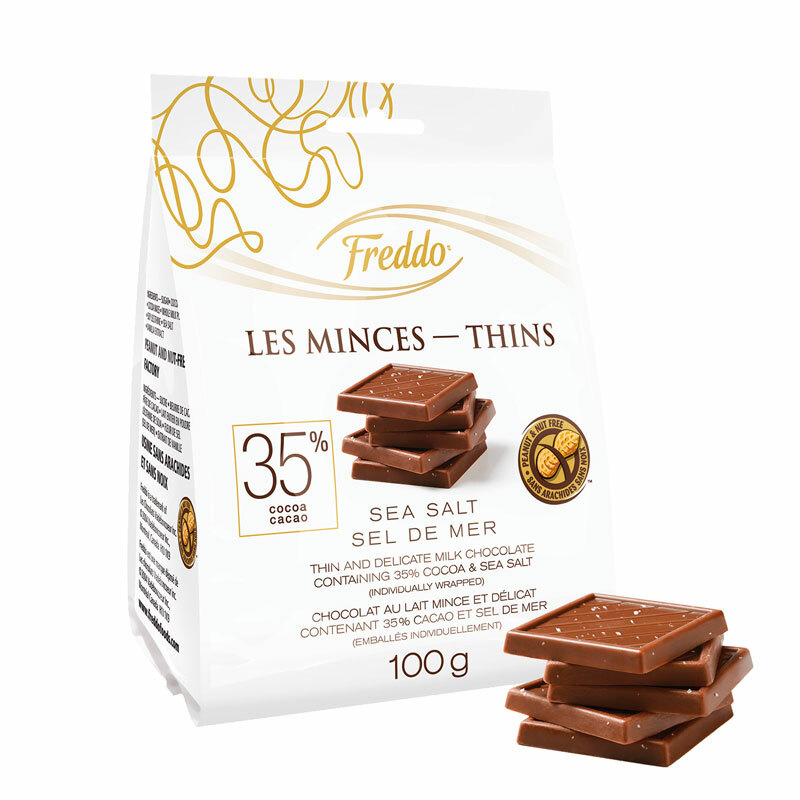 Savour the best of both worlds with FreddoTM Thins. 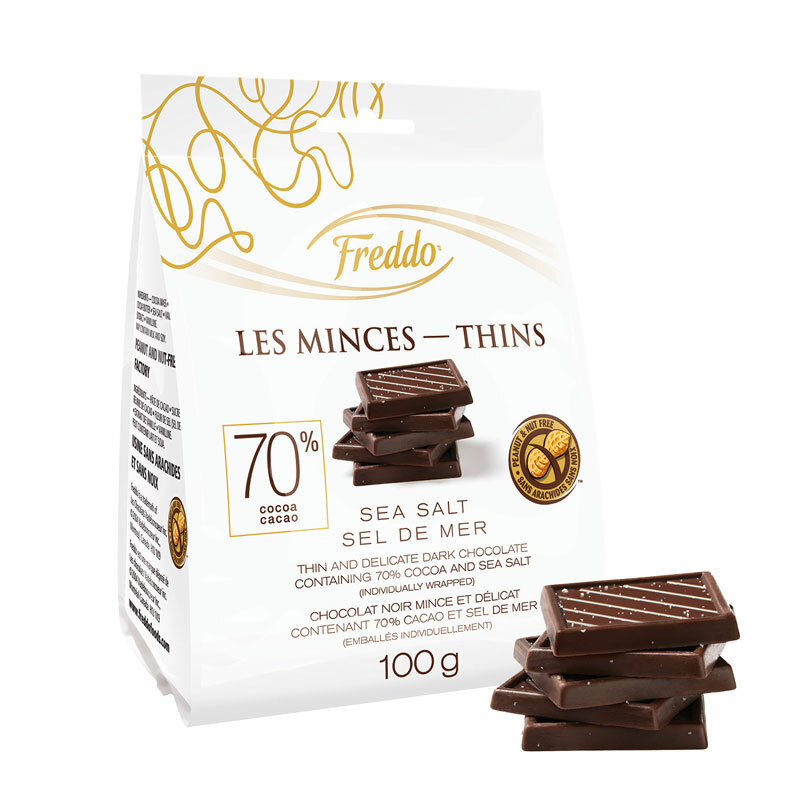 These morsels of chocolate with sea salt are individually wrapped and available in three irresistible variations: 70%-cocoa dark chocolate, white chocolate and milk chocolate. 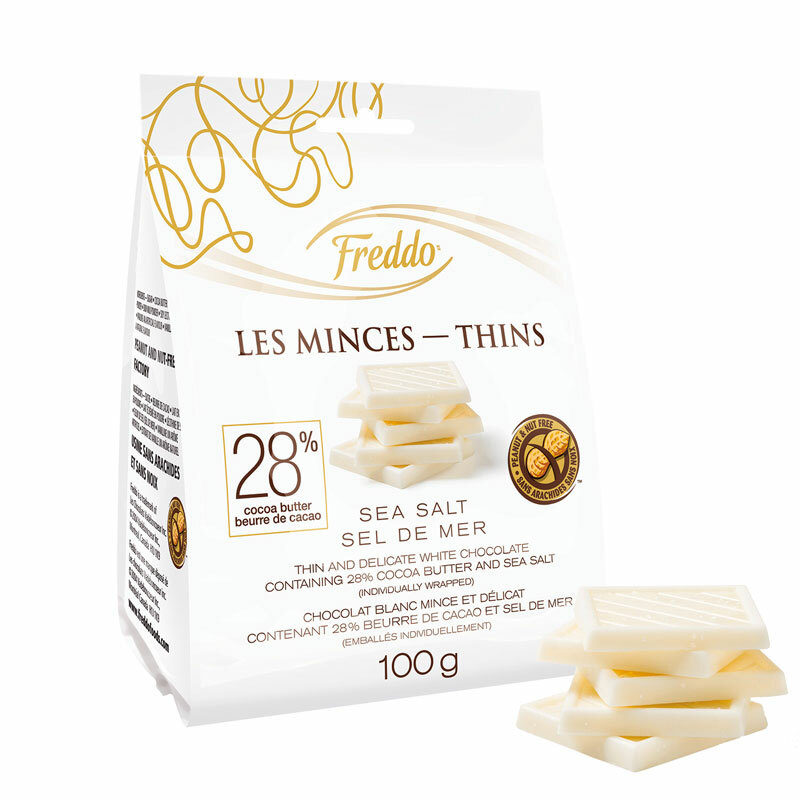 With just 100 calories per 4 pieces, they’re a guilt-free treat.